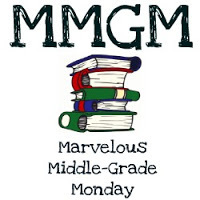 WELCOME TO MARVELOUS MIDDLE GRADE MONDAY! Yes, this is a short chapter book intended for up to age 10, but the story will still pull you in with its fun plot. And with such a fantastic cover, who could resist a read? There are five more full-page illustrations inside by the talented Matt Easterbrook. Each one puts a smile on your face. The book would make a great read-aloud in the classroom or at home. It’s also one of those stories that will have kids asking to read it themselves. One other sidelight: I began reading this while waiting for a haircut at my local shop. Every time I looked up someone was staring at me with a broad smile. I smiled back and turned the page. Mickey Malloy is just your average kid who loves comic books and superheroes. When a mysterious package arrives with his name on it, he finds a strange contraption inside. Urged on by his friend, Juanita, Mickey pushes the thing’s button and gets ZZZZZZAPPED! Suddenly, he isn’t a normal kid anymore, he’s Mickey Malloy, Wonder Boy! The human magnet! But what seems like an awesome superpower gets Mickey into more trouble than he could possibly imagine. FIVE THINGS TO LIKE ABOUT: MICKEY MALLOY WONDER BOY! A human magnet can only bring the worst results and they’re all hilariously depicted. Watch out for that box of paper clips. There’s a hint of a sequel in the final scene and all I can say is bring it on! Juanita has a subtle charm all her own. It takes Mickey most of his lifetime and this adventure to truly see it. Mickey narrates the story and is pleasant voice to spend some time with. He’s both funny and perceptive. The classroom scene. You’ll have to read it yourself. No spoilers here. “Who wants to go to some girl’s party anyway?” I said, though if I had gotten an invitation, I would have gone. Linda Parker is the most popular girl in school. She’s smart. She’s pretty. And she smells good. Make a comment if you have time. I enjoy reading all of them. Click on the comments link below. This entry was posted in New Release, Reviews and tagged humor, Laura White Reyes, male protagonists, Matt Easterbrook, Mickey Malloy Wonder Boy!. Bookmark the permalink. 5 Responses to MICKEY MALLOY WONDER BOY! Sounds like a really fun story. A human magnet could definitely get into trouble. Congrats to Laurisa! What an entertaining story! I know some 999999-10 year olds who would love this book/series. Yes, sometimes we need a break from the realistic books we review, and this sounds perfect. This does sound like a lot of fun, and I could use some funny stuff now and then. Thanks for the review. Get zapped and become something special. I love this idea and I know young readers will, too.